Google Forms is a powerful tool with huge educational potential for teachers and educators. 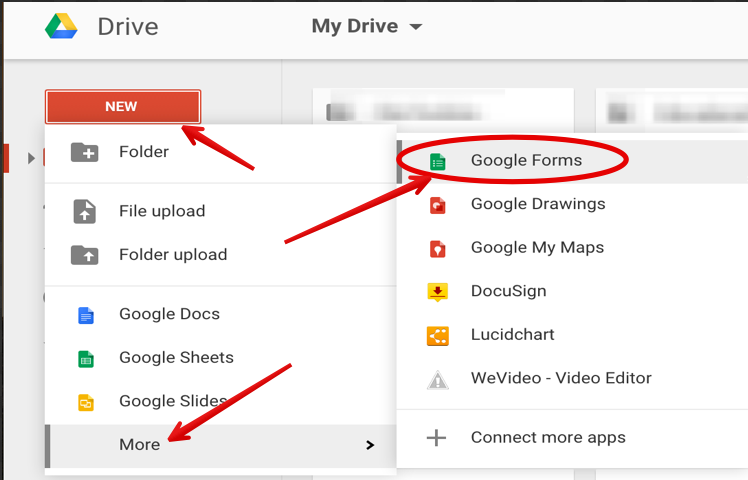 Besides being free and easy to use, Forms works across different devices and is seamlessly integrated with other Drive services such as Docs and Spreadsheets. 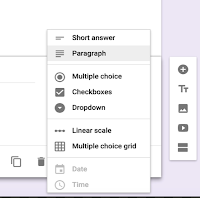 As a teacher, you can use Forms for a variety of purposes including: planning an event, making surveys and polls, creating quizzes, collecting feedback and other information from students and many more. 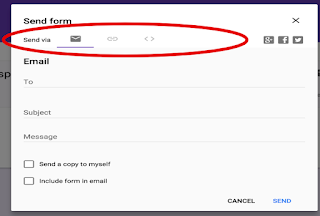 We have already posted a step by step guide on how to create a form from scratch but since then Google Forms has witnessed some major updates with the addition of some amazing features most important of which is the last update a few days ago. 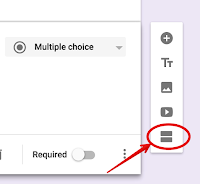 Therefore, we deemed it important to revisit this guide and update you on the different features you can use to create a form in the Google Forms. 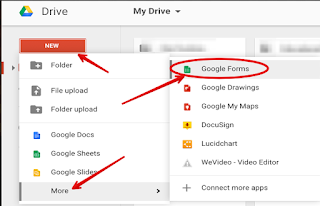 A: Head over to docs.google.com/forms and click on the plus button in the bottom right. A new form will automatically be opened. Open your Form and click the color palette icon and choose a colour from the options provided there. 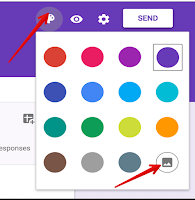 To add a theme, click on the Image icon an add an existing theme to your form from Google Plus or upload your own image . 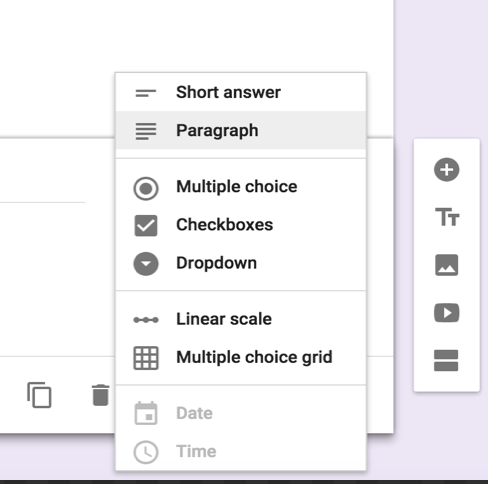 Now that your form is created you can start adding a variety of questions to it by clicking on the question icon represented by the plus symbol. To prevent respondents from leaving a question blank, you can toggle ‘Required’ button from Off to On. 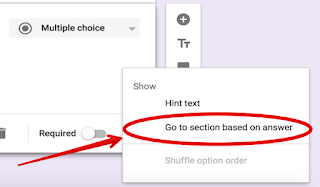 Sections provide structure to your forms and allow you to divide your forms into different parts. 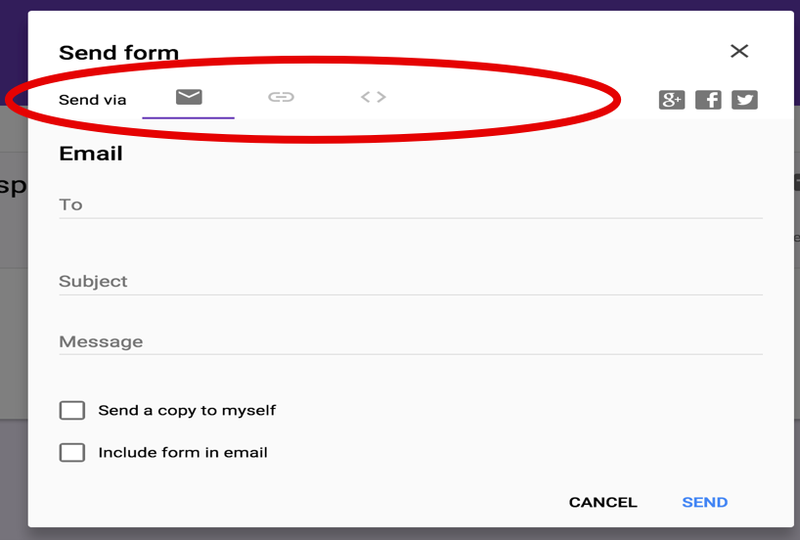 To add a section to your form, click on the Section icon on the right hand side and a section will be automatically added to your form. 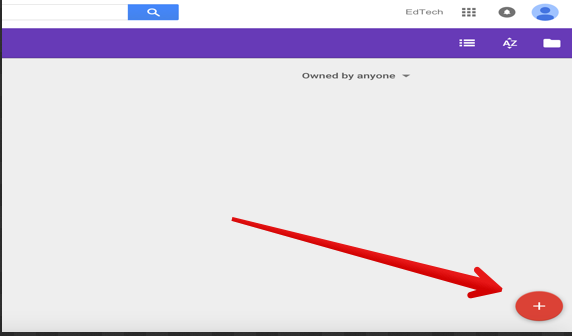 You can then add a title and description to your section. 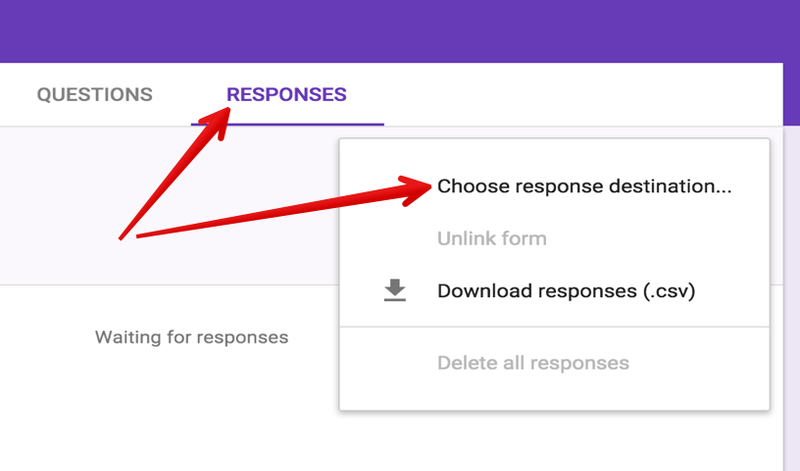 You can easily control how respondents navigate your form based on the answers they provide. 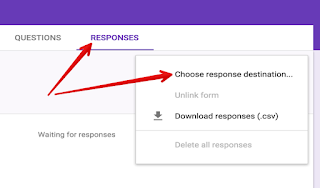 For instance, you can direct respondents with a Yes answer to a particular section while sending users with a No answer to a different section. Here is how to do it. On the right side of the question, click the More icon . Choose Go to section based on answer. Next to your answers for this question, choose specific pages to send respondents to when they choose an answer. You can also choose to send respondents to the confirmation page based on an answer by selecting "Submit form." Add section breaks by clicking the Section icon . At the bottom of each section, you'll see a dropdown menu with options for where to send respondents next. 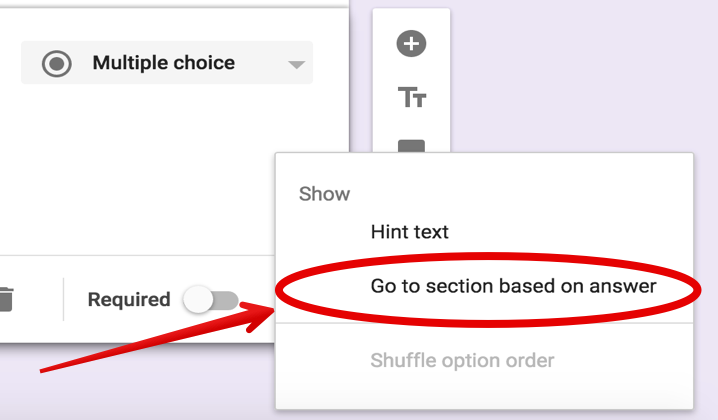 By default, it's set to "Continue to next section," but you can change it to send respondents to a specific section in your form or to the form's confirmation page. There are four ways to send your form: email, a direct link, social media websites, embed link. If you don't see a "File" menu, click the More icon in the top right. 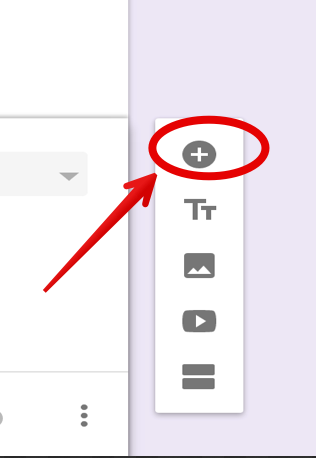 In the text box under "Invite people," add the names or email addresses of your collaborators and choose the level of access you want them to have.